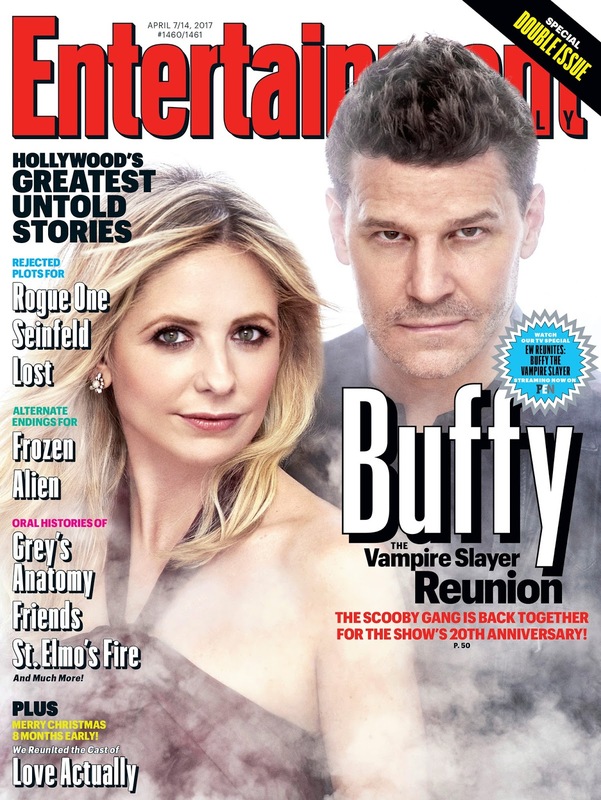 Blue Rose Epics | Entertainment: Buffy the Vampire Slayer 20th Anniversary! It is a blast from the past as Joss Whedon and the principal cast of Buffy the Vampire Slayer (1997-2003) have a reunion, discussion, and photo shoot with Entertainment Weekly for the show's twentieth anniversary! It is ridiculous how much time has passed, but our fearless, fresh-faced Scoobies are now mature and settled in life. I just wish we got a little blurb with Alexis Denisof (Wesley Wyndam-Pryce) and Michelle Trachtenberg (The Key, Dawn Summers). And several hours more with these guys would be hilarious and awesome, too. One of the coolest casts ever.